Accord is a well known, respected and experienced agency that has in excess of 50 years experience working with couples and individuals supporting them in their Marriages and Relationships. 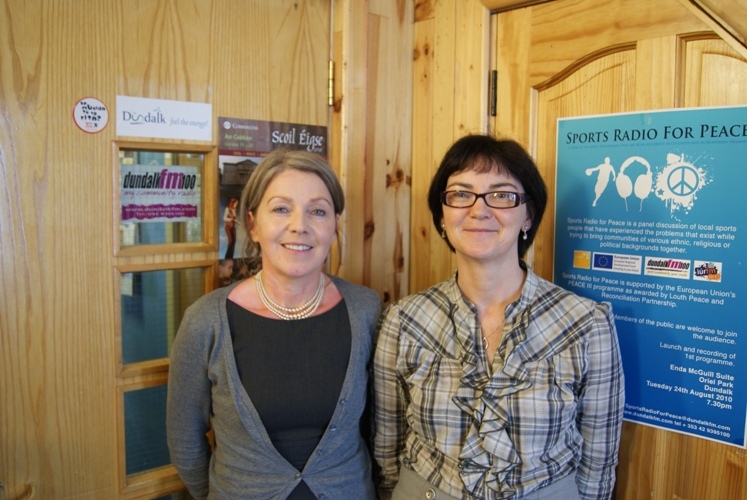 Cuidigh Linn are a local initiative broadly based service for the elderly living in Muirhevna Mór area of Dundalk. Cuidigh Linn offers a wide range of services including weekly or monthly visits and they also provide workers who can do low cost, high quality maintenance around older people’s homes. Amnesty International Ireland is the country’s largest human rights organisation with over 15,000 members and supporters. They are part of a global movement of more than 3.2 million people working in more than 150 countries around the world. Barnardos is a children’s charity. They work with vulnerable children and their families in Ireland and campaign for the rights of all children. Barnardos was established in Ireland in 1962. Beginning Experience Coping Programme, for Widowed, Separated and Divorced. Beginning Experience (BE) helps people work through their grief to be healed and free again. Blackrock Tidy Towns is one of the principal community groups in the village. Their objective is to make Blackrock a better place in which to live, and a more pleasant place to visit. 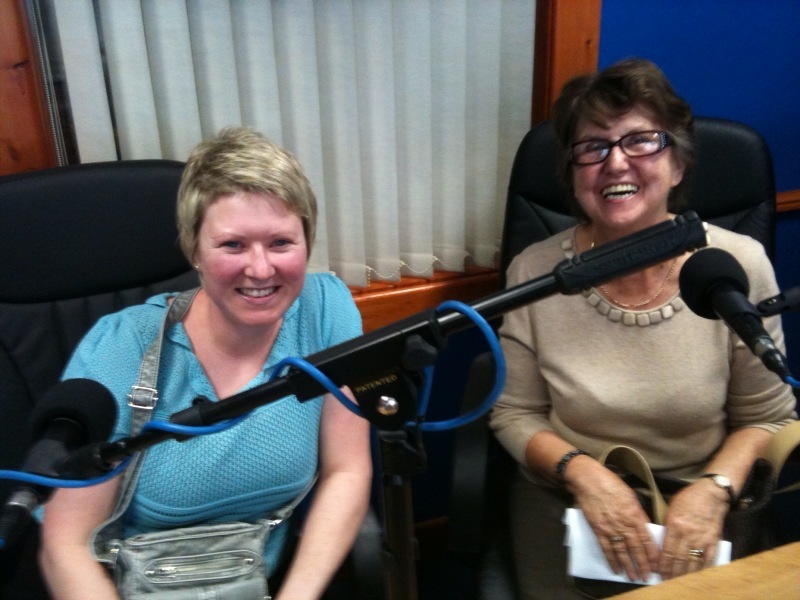 Cara Cancer Support Centre give support to people living with cancer. They provide a supportive environment where patients and family members can come to find solace and avail of the experience of cancer survivors. They offer a range of holistic therapies; pamper days, a number of workshops for men and women along with welfare information and counselling. Childline is a part of the ISPCC (The Irish Society for the Prevention of Cruelty to Children). There is a telephone service, there is an online service and there is a mobile phone texting service. Cooley Environmental and Health Group, established in 1994, is interested in human health and the local environment and the connections between the two. 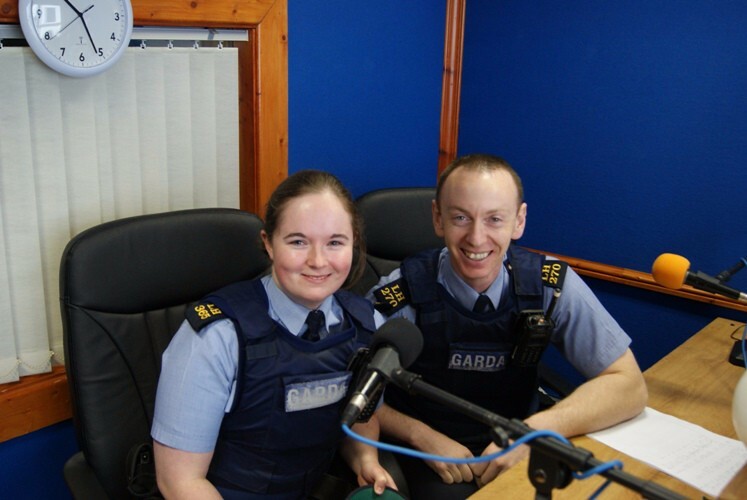 Caroline Hayes and Paul Conolly are part of the Community Garda Team that discuss community policy on a weekly basis during the Town Talk show (Friday morning edition). Cross Cause came about after the realisation that to make greater, significant, and speedier impact on the lives of less fortunate, an already active group of friends must publicise their work. Our group has been involved on the ground in Romania for nearly 10 year’s, active in Orphanages, institutions and hospitals. Cura provides counselling and support for unplanned or crisis pregnancy, post-abortion counselling, support and counselling for parents of a new baby. Services are all available to both women and men, and to grandparents, guardians and other family members. Since 2006, Development Perspectives have grown to become a successful leading education NGO in Ireland. DP explores, examines and acts upon a range of issues and challenges that face our world. They have built on the energy of our participants, the continued support from our donors, and the solid partnerships we have established with local communities both at home and abroad. 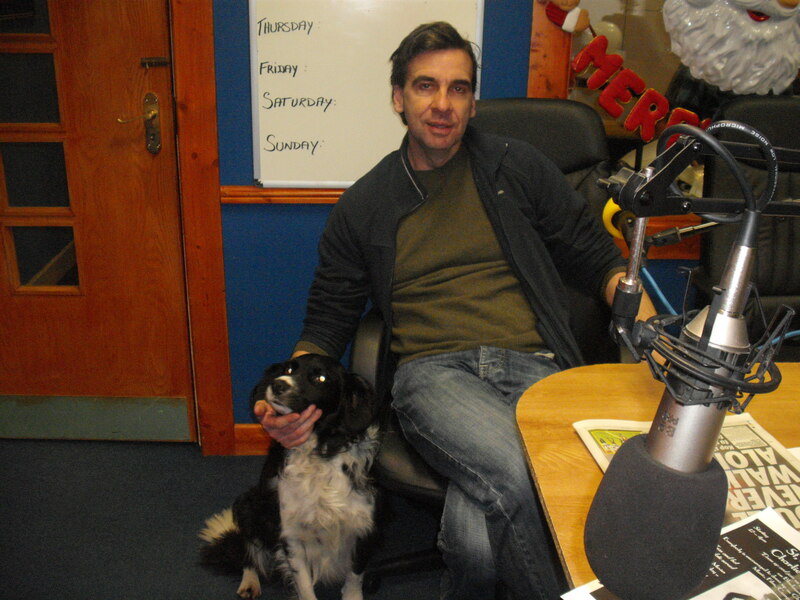 Dundalk Dog Rescue do whatever is possible to rescue unwanted dogs from our local Dog Pound and give them a second chance at life. 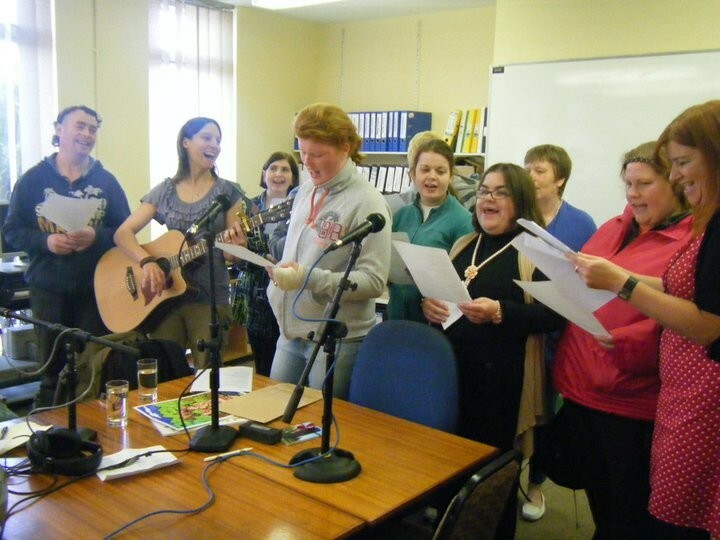 Dundalk Peoples’ Centre for Information and Training was founded in May 1990 and was formally known as Dundalk Resource Centre for the Unemployed. They provide clerical services, welfare information, IT training and a Second Hand school book shop. 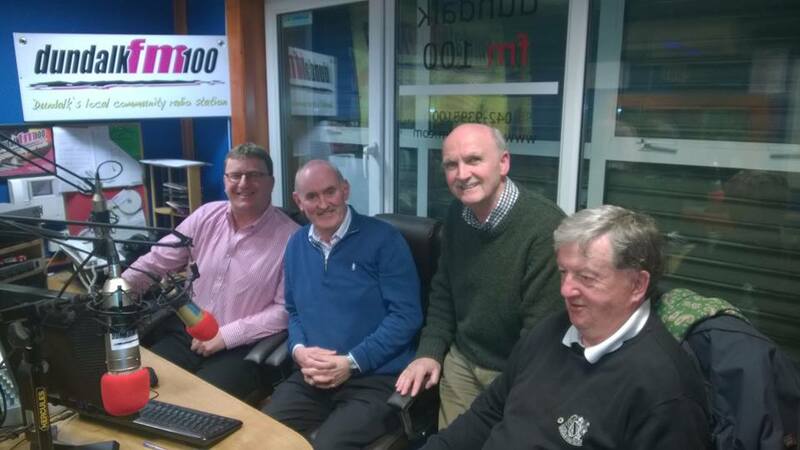 Dundalk Lion’s Club at Your Service with Irene Mayock, Declan Dempsey, John Hennessy, Hugh McKitterick and Tadhg O Sullivan. Thursday evenings from 8pm to 9pm. Richie Marr, Bernadine Quinn and John Roddy Dundalk Outcomers. 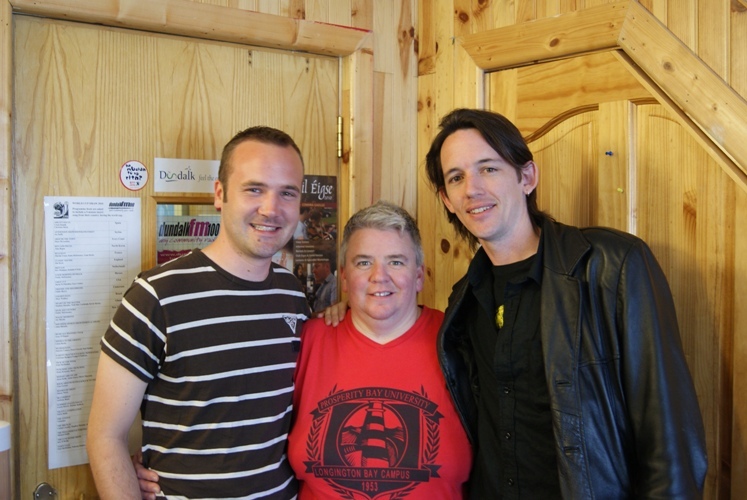 Dundalk Outcomers is a social and befriending support group for gay, lesbian, bi-sexual and transgender (LGBT) people. Their drop in centre provides a safe, social and relaxed environment for the LGBT community and is located in the centre of Dundalk town. It has been open since 1997. They offer some light refreshments and a chat. Free gay and lesbian literature is available. 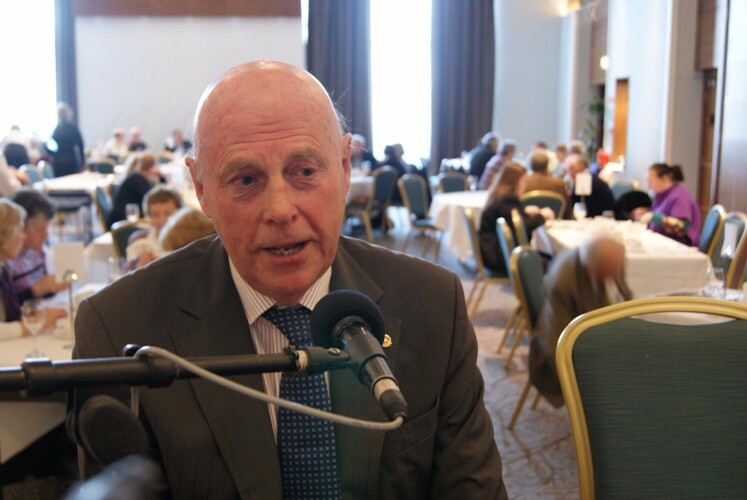 Tony O’Connor speaks about the work of the Dundalk Rotary Club at the annual Pancake Tuesday Breakfast Fundraiser in the Crowne Plaza Hotel, Dundalk. Dundalk Sub-Aqua Club was set up in 2001 by number of experienced local divers who joined together to pool their knowledge of local/national dive sites and diving experience achieved in other clubs north and south of the border, but who felt it was time to bring it home and set up our very own dive club. 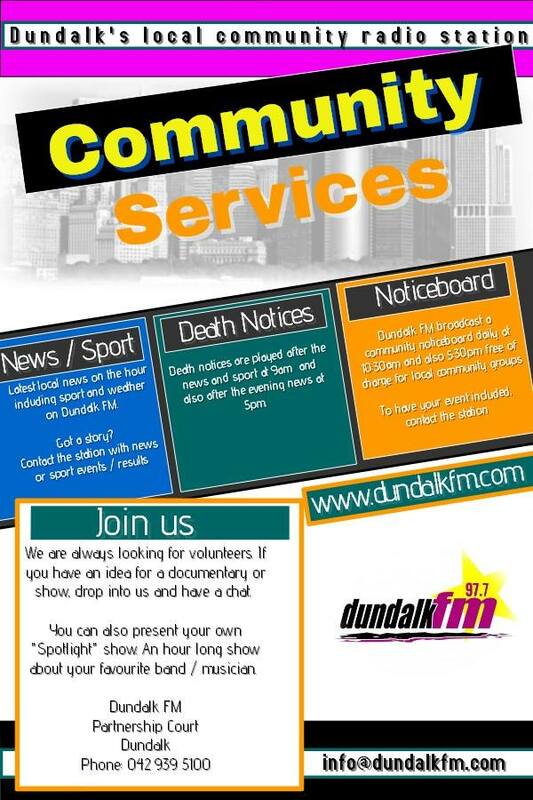 Dundalk Simon Community offers a range of options to people who are experiencing homelessness. 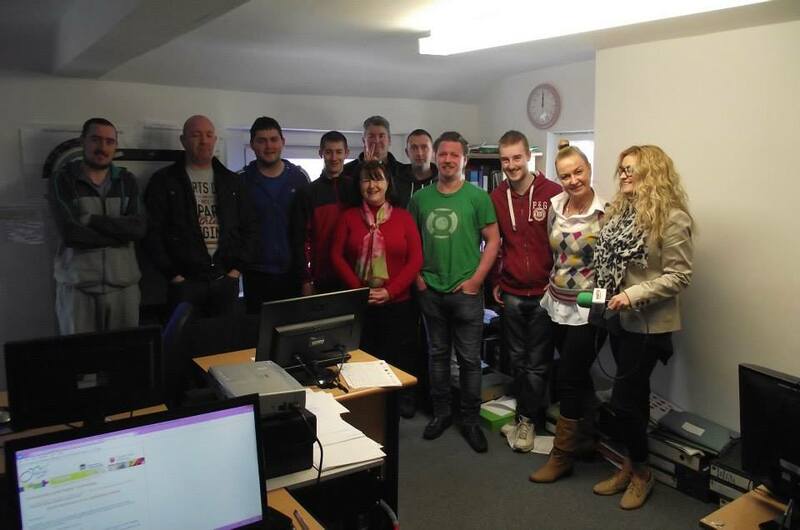 The Gatehouse Project provides accommodation for up to seven rough sleepers nightly. It is open from 9pm to 9am and provides a bed, warmth, a meal and general support. Dundalk Tidy Towns committee provide weekend tour and activity promotions around the Dundalk area. The vision of Dundalk Youth Centre is to create a supportive relational environment where young people in our community are welcomed, valued and encouraged to get in touch with and express their individual gifts through creativity and the arts. Failte Abhaile’ mission is to develop an inclusive, sustainable local community infrastructure to support republican ex-prisoners, displaced people and their families, enable them to fulfill their potential and actively participate in the regeneration of the community, increasing their educational and employability levels and status. Blood is in constant demand. Please remember to give blood regularly. The ICA is the largest women’s association in Ireland, with more than 10,000 members and over 500 Guilds across the country. They cook, travel, craft and socialise! The IFA has a mass membership with over 88.000 farmers contributing to the Association. A strong united membership provides the strength and financial resources to ensure that IFA delivers for Irish farmers. The Irish Girl Guides, sometimes more commonly known as IGG, has been in existence since 1911, when the first Guide Unit was set up in Harold’s Cross. In 2011 we celebrated our Centenary with lots of fun activities around the country. The RNLI in Ireland has 44 lifeboat stations operating 57 lifeboats that provide a ring of safety around the Irish coastline. Knockbridge Vintage Club is a community based organisation that co-ordinate & run local events to raise money for charities. The foundation upon which the club is built is a bedrock of community spirit and determination. They strive to be up with the top in the league. The Louth Beekeeping association currently has 100 active members, with the youngest spanning from just 12 years of age. They opened a club apiary with an attendance of 100 beekeepers/family members. They endeavour to keep all members up to date with the latest research and bee related information with monthly lectures during the winter season and a yearly beginners and advanced class. 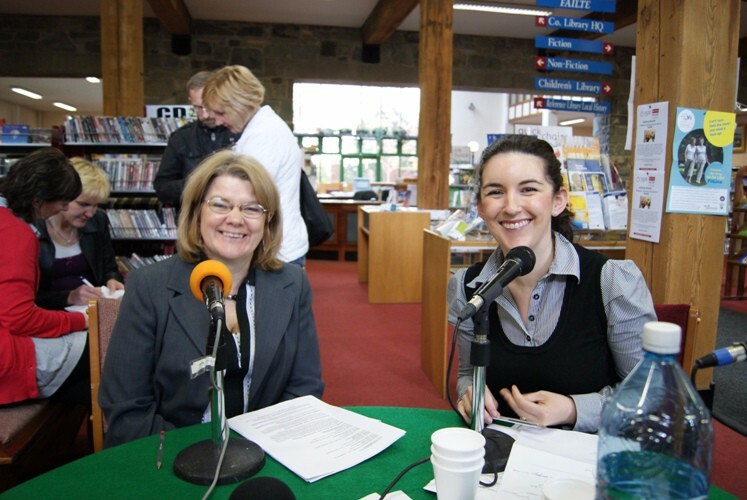 Bernie Fennell, Manager and Amanda Branagan, Europe Direct are tremendous supporters of the the station and have welcomed us to the Louth County Library for many Outside Broadcasts. There is much more to Louth’s heritage than the castles, ruined churches and abbeys that many people consider to comprise ‘heritage’. 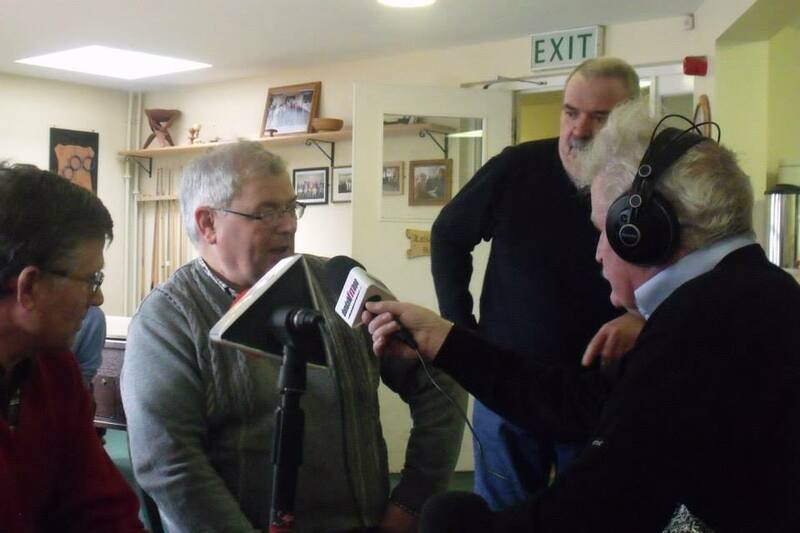 The Men’s Shed offers a safe, friendly and inclusive environment where men are able to gather together and/or work on meaningful projects like wood turning, art, horticulture, wood work and wood work etc., at their own pace in their own time in the company of other men, The shed can also be a place to just come and sit for a while have a chat over a cup a tea or play a game of pool thus improving the health and well being of the men participating. The Louth Volunteer Centre is passionate about volunteering and Louth County is a great place to volunteer. Volunteering enriches communities, gives volunteers an opportunity to develop personally, and puts giving at the heart of how we all live. The Louth Society for the Prevention of Cruelty to Animals has been in existence for over 50 years and current inspector Fiona Squibb has been doing this job voluntarily for over 10 years. 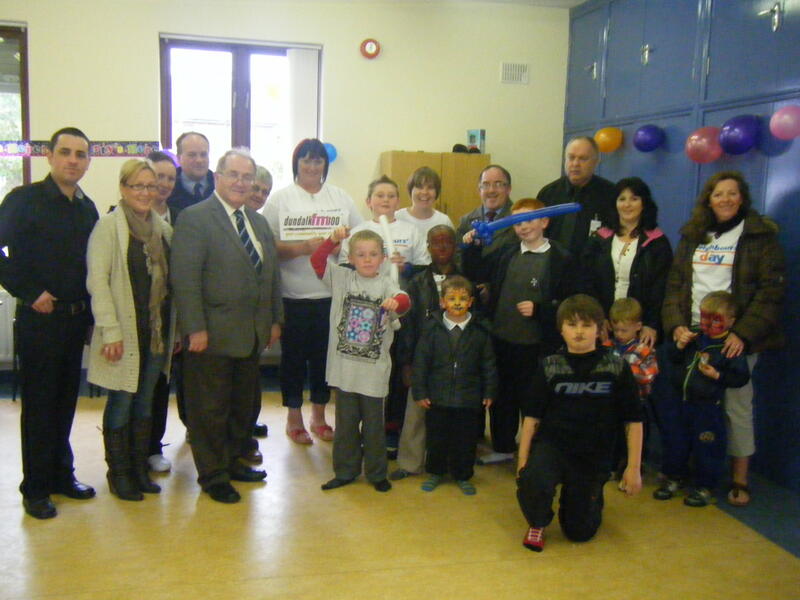 The Maria Goretti Foundation Respite Centre for Children with Disabilities in Lordship, Co. Louth. The facility will cater for children with disabilities in Louth aged 0 – 18 years and enable parents and carers have a break from the often challenging demands of providing full time care. The Marie Keating Foundation provides information on all the key cancers, including breast cancer, cervical cancer, throat cancer, lung cancer, skin cancer, prostate cancer, testicular cancer and bowel cancer. The Foundation does not receive any Government funding and all of our services are provided free of charge. Mellon Educate is an international volunteer-based charity and have now embarked on a 10-year initiative to provide educational assistance for more than 100,000 of Africa’s most impoverished children. They need volunteers and financial support from a lot of people to achieve this ambitious target. Now I Lay Me Down to Sleep is a not for profit organisation which offers bereaved, or soon to be bereaved parents the gift of the services of a professional photographer to create lasting images of their baby. These services are available for infant loss as early as 24 weeks gestation, or at the discretion of medical personnel. North Louth Hospice Foundation was formed in 1992 with the objective of providing assistance to people diagnosed with cancer and their families in the North Louth Area. Having started with a committee of 10 members in 1992 to-day the organisation involves 150 volunteers who contribute their time and efforts without remuneration. The Oxfam Dundalk shop has a wide selection of good quality clothes for women, men and children, along with jewellery, linen, bric-a-brac, music and the occasional antique. Your donations and purchases help support our work with people affected by poverty and injustice around the world. Celebrating over 75 years as one of Ireland’s largest voluntary organisations, the Order of Malta Ireland makes a positive contribution to hundreds of local communities North and South in Ireland. With nearly 4,000 members volunteering their time to provide first-aid medical services at community and large national events and ultimately saving lives. The Post Polio Support Group helps survivors of Polio in Ireland. Fundraising is vital to ensure they can provide help and support. What a wonderful photo showing the enthusiasm of the Rehab Care Choir in full flow at the Coes Road venue. The RPSI was formed in 1964 to preserve in working order steam locomotives and other rolling stock built for the Irish railway system, from 1850 to the present day. The Society is a not-for-profit charity managed by volunteers. All funds from ticket sales shop sales membership fees or donations go directly to keeping Ireland’s steam railway heritage operating for future generations. 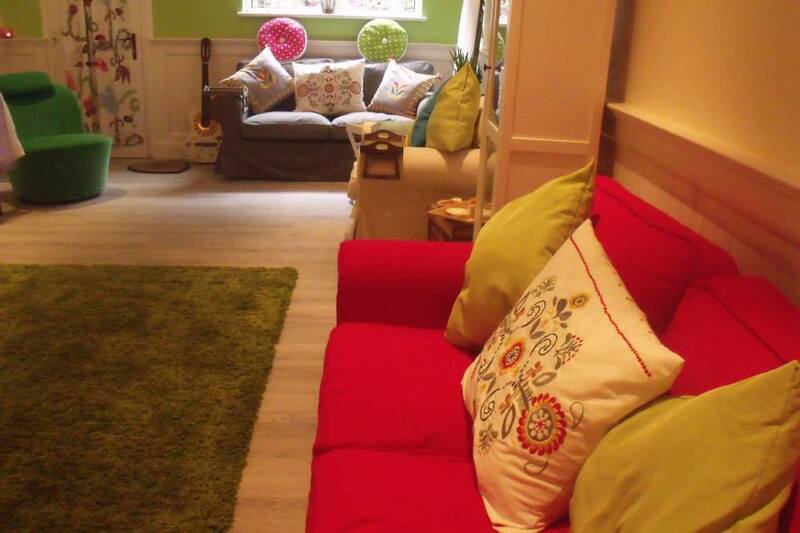 The Redeemer Family Resource Centre is located at Ard Easmuinn in Dundalk, Co. Louth. The Family Centre is a multipurpose resource centre. Facilities are provided for sporting, leisure, educational and health care services. Dundalk’s St Patrick’s parade committee organisation of the parade brings a more innovative approach to the celebrations on the public holiday St Patrick’s Day. Venture Scouts range from 15 to 17 years of age. The programme involves a wide variety of exciting and adventurous activities, where the Venture Scouts themselves are responsible for designing, planning and implementing their activities. The Society of St. Vincent de Paul (SVP) was founded in Ireland in 1844. It is the largest voluntary charitable organisation in Ireland. Our focus is on practical approach to dealing with poverty, alleviating its effects on individuals and families through working primarily in person-to-person contact by a unique system of family visitation and seeking to achieve social justice and equality of opportunity for all citizens. TEAM HOPE is an Irish, interdenominational Christian development aid charity, working with children, and through them, into their families and communities in Eastern Europe, former Soviet Union and Africa. Treoir promotes the rights and best interests of unmarried parents and their children through,providing specialist information, raising awareness on issues affecting unmarried parents, and campaigning for change. Treoir is the National Specialist Information Service for unmarried parents and their children providing clear and up-to-date information free of charge to parents who are not married to each other and to those involved with them. The Wee Binnian Walkers was founded in 1987 and is based in the North Eastern border area of Newry, Co Down and Dundalk, Co Louth. There is no office and the club is run by a voluntary committee. Membership is open to anyone 18 yrs or over and since foundation, the club has been an embodiment of a cross-community, cross-border social group whose members share a love of hill walking. Currently they have in excess of 275 members from as far north as Antrim, south to Dublin and west as far as Tyrone, and all counties in between. The age profile is from 20 to 70 years.